Congressional Democrats have introduced legislation that would allocate more than $1 billion to secure America’s voting systems amid rising concerns that Kremlin-backed hackers will once again try to interfere in US elections. “We cannot let the Russians laugh about and take joy in the success they had in the last election.” Democratic leader Nancy Pelosi told reporters Wednesday, per Reuters. 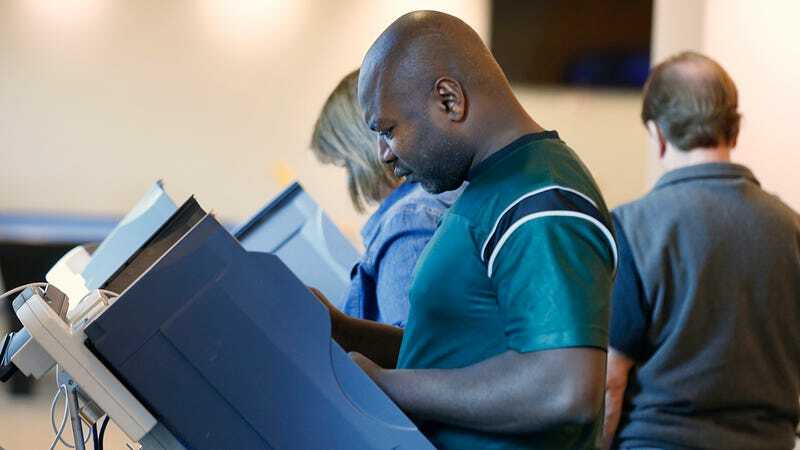 The Election Security Act would aid states in purchasing new voting machines that incorporate paper ballots—a feature widely viewed as the best defense against electronic warfare. During the 2016 election, roughly 20 percent of US voters cast ballots in counties that do not use paper ballots, primarily in the South, meaning there’s virtually no way to verify the results if a cyberattack is suspected. The bill, which so far has zero Republican cosponsors, would also pay for risk assessments, security staff, and the creation of a $20 million grant for states to perform post-election audits. Last year, the Department of Homeland Security notified election officials in 21 states that their systems had been targeted by hackers during the 2016 election. Although the Democrats’ legislation seeks to protect US voting systems from cyberattacks, it does not address more amorphous efforts to subvert the integrity of the election system—weakness that US intelligence chiefs told the Senate Intelligence Committee on Tuesday are sure to remain in the lead-up to November’s mid-term elections. During an event Wednesday hosted by the news site Axios, Vice President Mike Pence falsely claimed there is a “universal conclusion” among US intelligence agencies that the efforts of Russian hackers had zero impact on the outcome of the 2016 election. In its January 2017 report, the US intelligence community stated that it made no attempt to assess the potential impact, but asserted that Moscow had attempted to swing the election for Donald Trump.